Home / Interior Design / Dining Rooms / The great debate… Placemats or Tablecloths? Which are better? The great debate… Placemats or Tablecloths? Which are better? Making a table look beautiful is an art, and there are lots of ways to do it. Two of the most common ways is to use a tablecloth or placemats. Which is better really depends on the look you want and even the kind of table you have. Either option can make a dining room look fantastic and stylish or dated and dowdy. Personally, I like using both, but with our current table, a tablecloth isn’t really an option… keep reading to find out why. 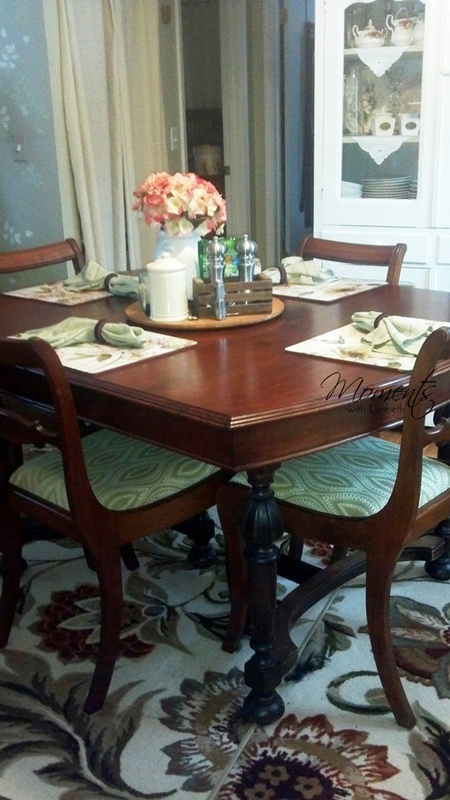 When we had our round oak table, I loved using tablecloths. They gave the table, and the whole room, a soft romantic look. A table can look beautiful with a tablecloth when it’s done right. I’m not a fan of plain white tablecloths, because they look a little too “banquet hall” to me in a home. A tablecloth has to have some kind of detail to elevate it from utilitarian. Here’s our old oak table with a beautiful tablecloth I bought at the Linen Store in Nassau, Bahamas, many years ago. It’s a crisp white and makes everything look pretty. Even so, I did add some additional layers…a pale green napkin and two smaller placemats to give it a little more interest. Table setting with china from the 1940s. The china is one of my four sets… Yes, I’m nuts for china. I love being able to mix and match these two patterns from the 1940s. Our “new” rectangular mahogany table fits the space we have for dining so much better than the round one did, but I miss how pretty the round one looked with the tablecloth. The truth is, as much as I love my current dining set, I think it looks a little dowdy with a tablecloth because of the Duncan Phyfe style chairs. Pretty placemats give formal table a casual look. Our current table looks much better with placemats. The placemats don’t hide the beauty of the mahogany wood. It definitely has a more formal look, which is downplayed with placemats. A tablecloth looks out of place in our tiny little house, because it would be over the top formal. Plus, a tablecloth hides all the detail of the table, which makes it look plain and unappealing. Mixing different pieces on a placemat. One thing I’ve enjoyed with this table is being able to use lots of different styles of placemats. I’ve learned, however, that I do not like the square or round ones that I would sometimes use on our round table. They are just the wrong shape. This shows how the round placemats looked on the round table. The table topper was a nice addition to the table, because it didn’t get in the way when you wanted to sit down. Some people don’t think you should use tablecloths and placemats together, but I disagree…when done right, it can look very charming. Another more formal look with placemats. We’ve actually donated these wood placemats, because the color clashed with the table and they slid around too much. But I loved the look of the gold plates with the black and white napkins. 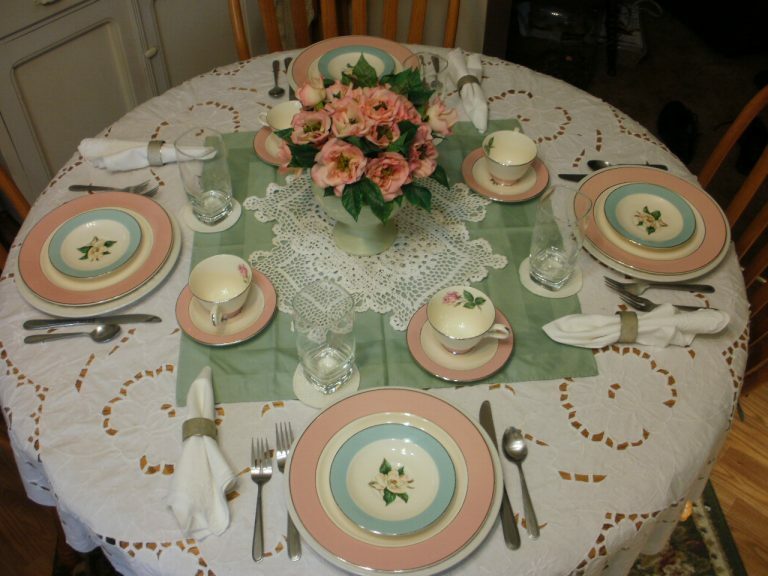 As you can see, you can get lots of different looks with tablecloths and with placemats. 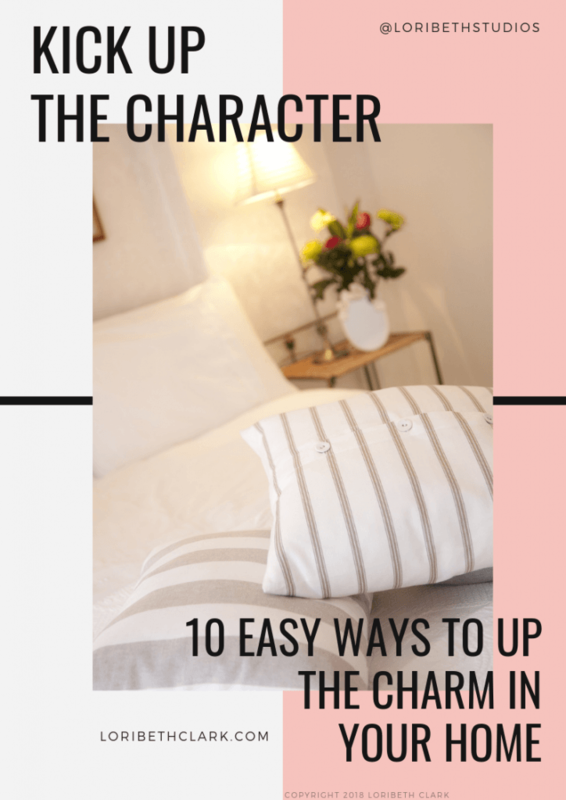 You can get a formal look both ways just by the dinnerware you use. Which do you prefer? Tablecloth or Placemats? Or do you prefer something else? Share in the comments! I have probably a half a dozen sets of placemats. I like switching them up. Right now, I'm on the lookout for some pretty watercolor inspired ones. Hi Doug! That's an excellent point. Sometimes tables that are not beautiful on their own can look lovely with a nice tablecloth. But you shouldn't be afraid of messing up a fancy tablecloth. They're made to be washed… Cloth napkins and cloth tablecloths are a very green alternative to paper. Paper you wad up and throw away… Cloth is wash, rinse and reuse.